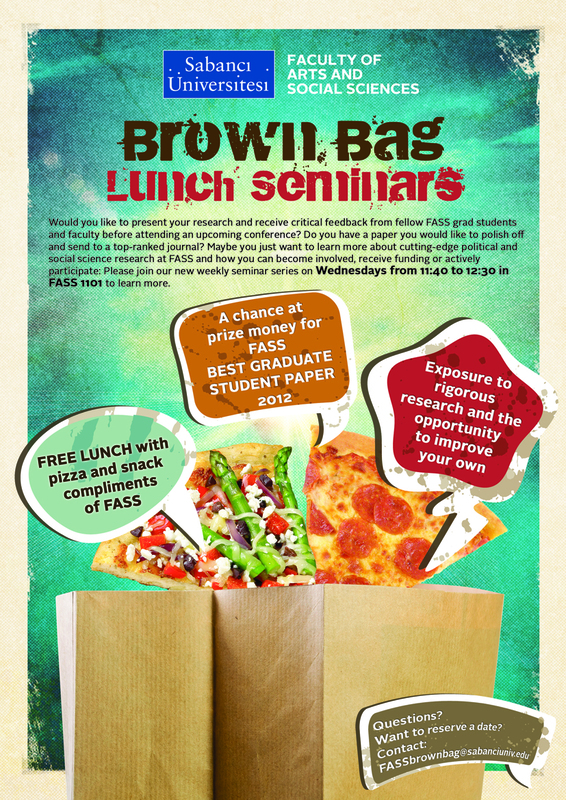 Brown Bag Seminar Series is cancelled. This week's Brown Bag Seminar talk will be given by Political Science PhD students Elif Kalaycıoğlu ve Doğu Durgun. The topic of their talk is: "A New Turkish Citizenship? Contestation of Muslim Women and LGBT Organizations"